Make the holidays into a luxury experience this Christmas with a basket full of Iberian surprises. 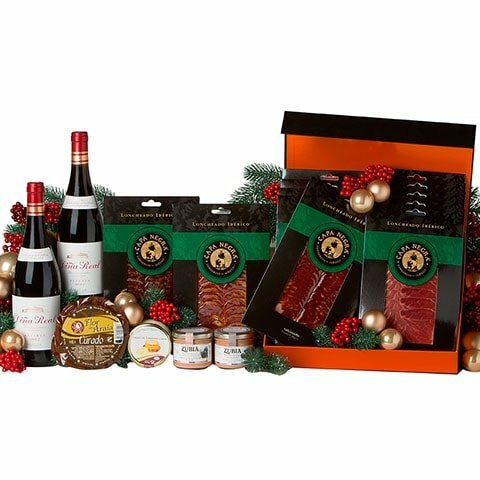 On Christmas Day treat them to a selection of products that will stand out like Iberian ham, chorizo and sliced pork loin accompanied by tasty foie gras and Rioja wine. Ideal as a gift for Christmas dinner!